Portraits of Famous Faces, By Famous Faces! As Charles Baudelaire once wrote: what could be more simple and more complex, more obvious and more profound than a portrait? Humans have portrayed one another for thousands of years. Over time, the genre of portraiture evolved into a complex and multi-faceted genre that provides great opportunities for experimentation. Going beyond a mere record of a face and its various details, great portraits reveal one of the millions of intimate human moments that make up a life. The likeness of people that have marked our time has been captured in a range of compelling works of art. We present you ten portraits of famous faces painted by well-known artists that you can own right now! Featured image: Jef Aerosol – Jean-Michel Basquiat & Keith Haring (detail). All images courtesy of their respective galleries. One of the most famous stencil artists in the world, C215 is mostly focused on portraiture, as he believes that faces have a universal message that everybody will understand and be moved by. 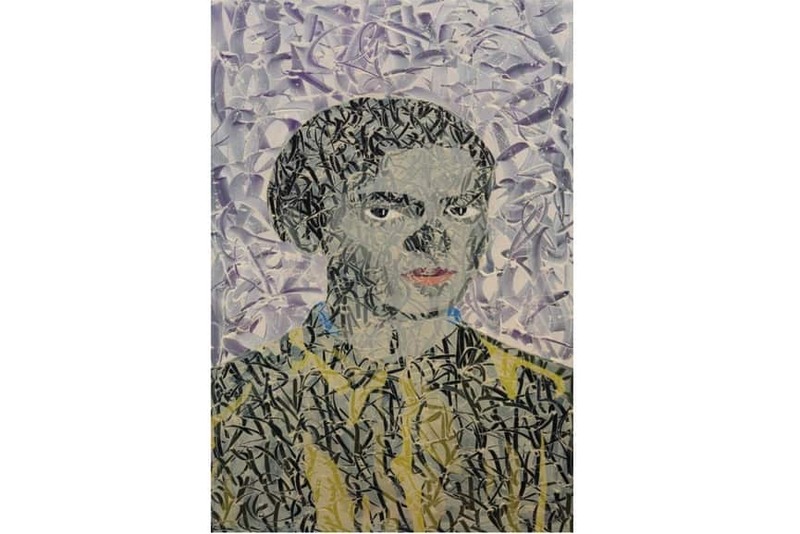 Ranging from local people and children to celebrities, all of his subjects are depicted as proud and dignified. Communicating on a universal level, his works draw attention to those that society has forgotten about. 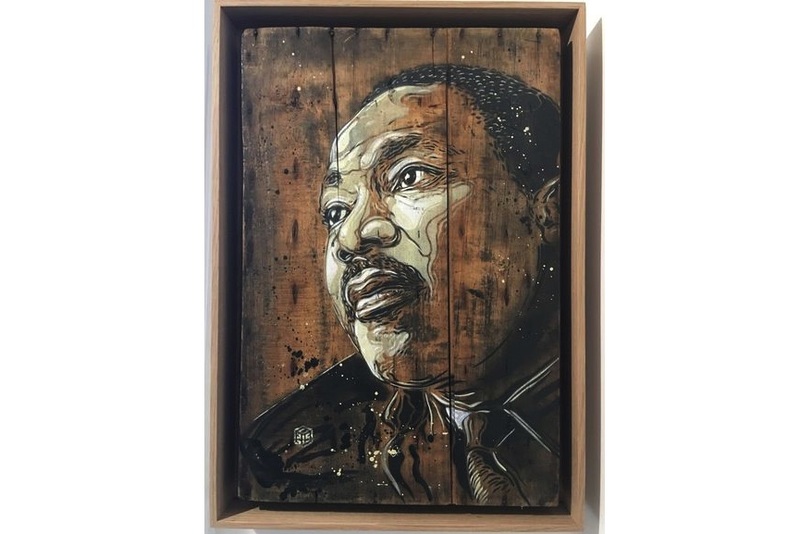 Spraypainting on a wooden drawer, C215 honored the life and work of Martin Luther King. The artist perfectly captured the resonant and inspiring energy Martin Luther King was known for. See more information about the work here. An icon of the American contemporary art scene, Shepard Fairey is known for work which is thought-provoking and often controversial. Emerging from the L.A. skateboarding scene, he is a street artist, graphic designer, activist, and illustrator best known for his Obey series, a street art project and an experiment in phenomenology. 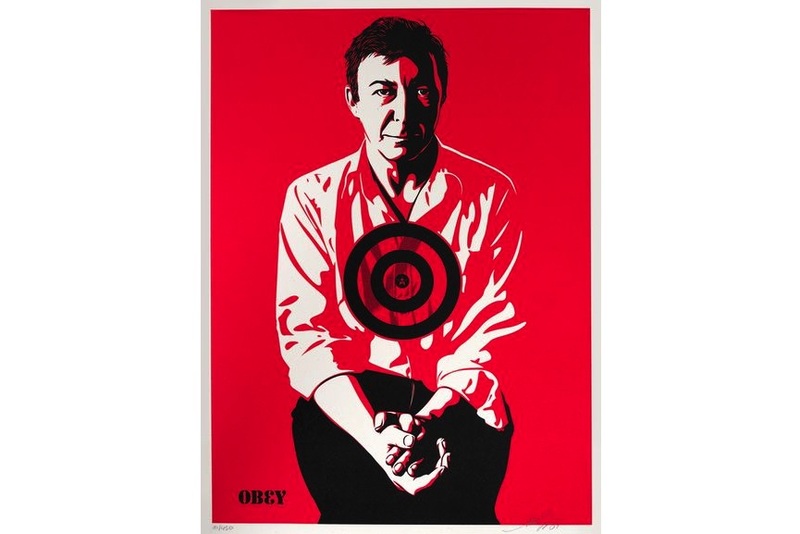 The work Jasper Johns (Red) is one of two silkscreens Fairey created of Jasper Johns, based on Michael Tighe’s photographic portrait of Johns, featuring John’s iconic Target. Internationally famous for his camouflage art, Liu Bolin is also known as “The Invisible Man” and “The Human Chameleon”. Developed a unique technique of painting himself into ordinary backgrounds, Bolin creates amazing works that deal with to the different emerging social problems that accompany China’s rapid economic growth. His practice fuses performance, photography, and protest. 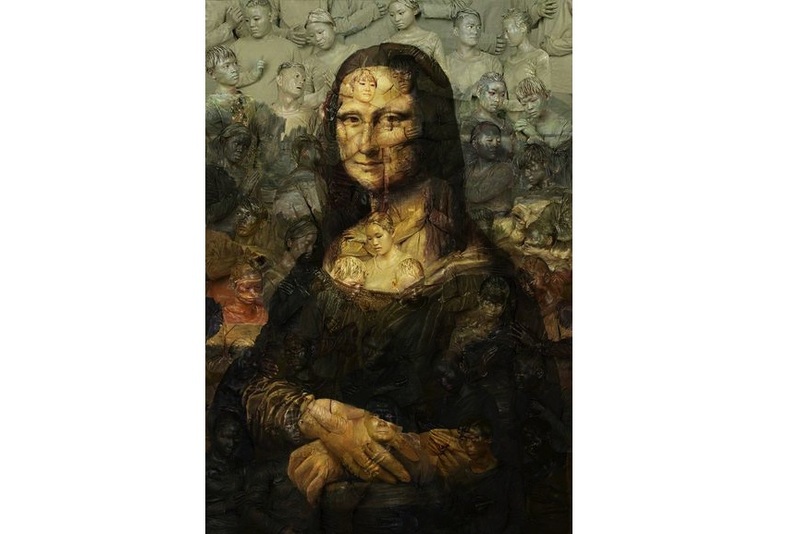 In the work Mona Lisa, the artist embeds himself into the masterpiece as well as its historical legacy. He provocatively challenges the viewer to question what is above and beneath the surface. 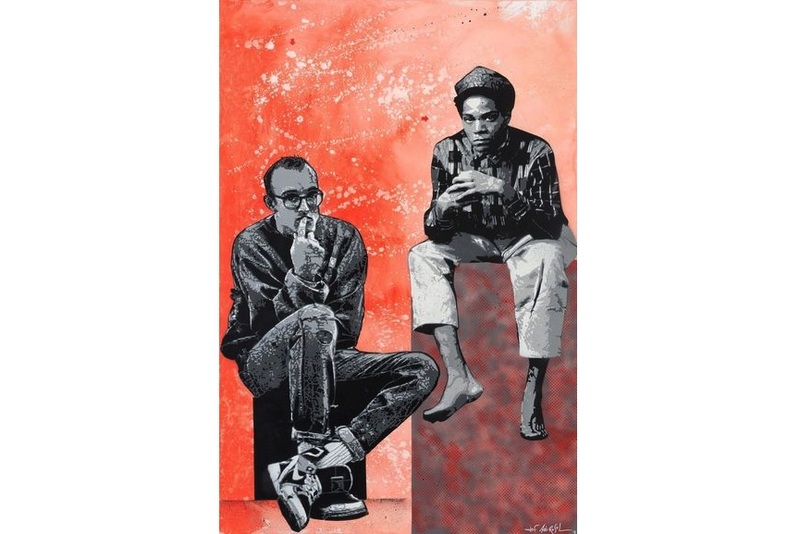 A German contemporary artist, Devin Miles is widely known and appreciated for his Pop Art depictions of famous people and imagery. Skillfully combining screen printing and painting, he has developed a new and distinct contemporary style. 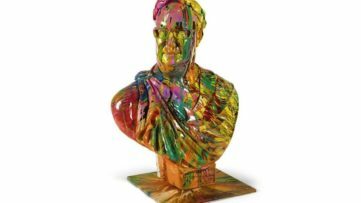 He is often described as the “Keeper of Tradition” of the German “Modern Pop Art” art scene. The work Ali is part of the “Contrasts on Canvas” series from 2018. 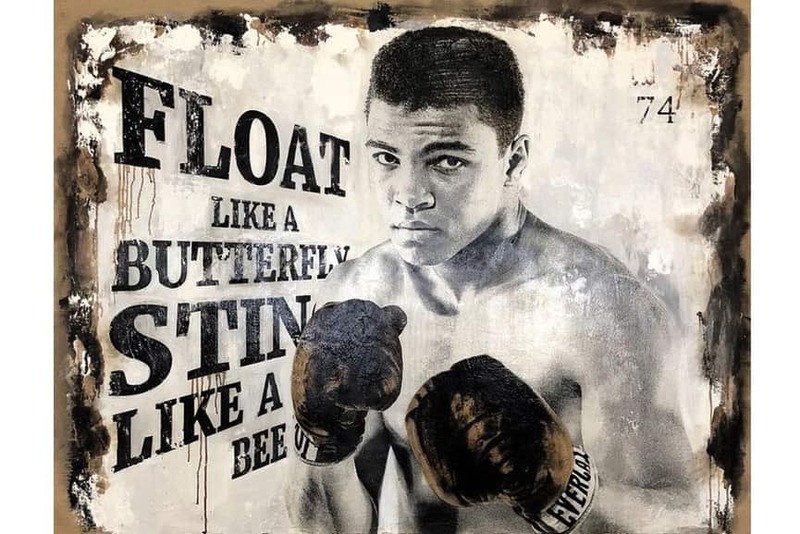 In his distinct Pop-Art style, he paid homage to the famous American boxer, activist and philanthropist, Muhammad Ali. A talented American artist, Agent X creates experimental multimedia collage art, paintings and 2D artworks. 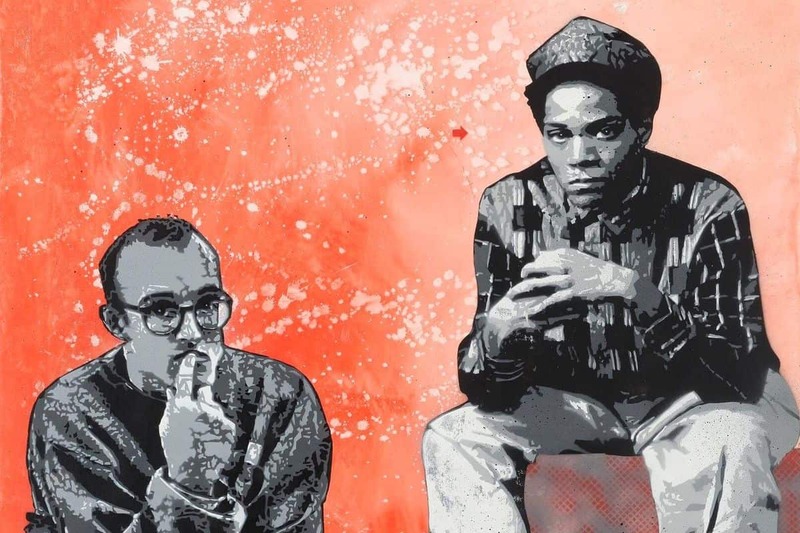 Despite the lack of formal training, he juxtaposes pop culture, technology, fashion, music, politics and race to create visually stunning pieces of collage art. His works challenge the viewers to think deeply about what they are seeing. The work Scarface Sleeps honors the movie Scarface. It is created in several colors and is part of the artist’s 2018 Spring Collection. A French urban stencil artist who started working in the 1980s, Jef Aérosol is known as the main proponent of the emergence of the genre in France. 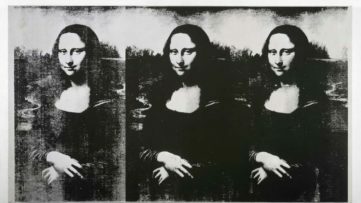 Using his signature colors, black, white and gray, he created countless portraits that immortalized both famous people and the ordinary ones. His art is usually adorned with a red arrow, which became the artist’s trademark. Through this work on canvas, Aérosol made a tribute to Street art’s recognized inspirations, Jean-Michel Basquiat and Keith Haring. A true mastermind of his time, Andy Warhol created some of the most iconic images of the 20th century. With his groundbreaking practice, he re-defined many art concepts and introduced fresh ones that became new standards in no time. 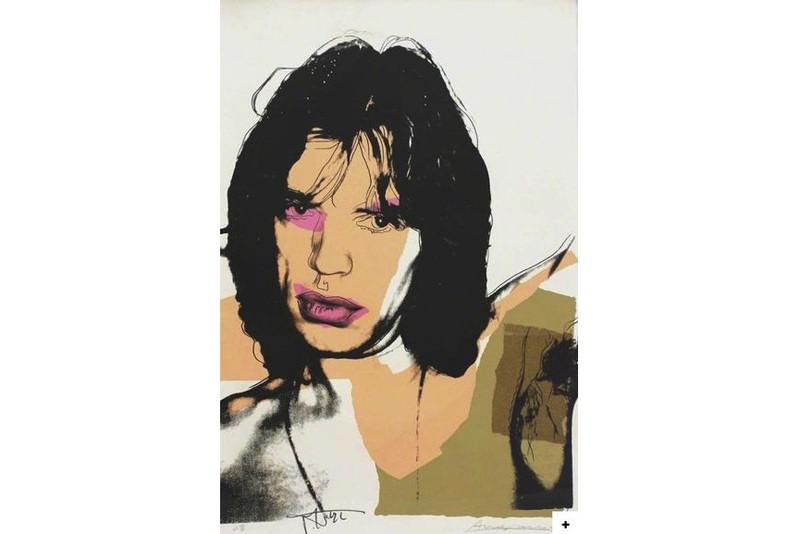 In this work, Warhol captured Mick Jagger, whom he always praised for his photogenic, “bad-boy” image. The musician is depicted bare-chested, playing up to Warhol’s camera, juxtaposed with blocks of irregularly shaped colors. 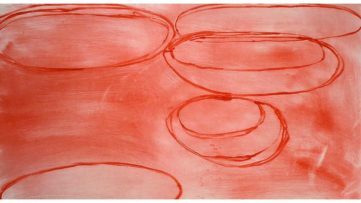 his work is part of a portfolio of ten screenprints of the star produced in 1975. One of the most popular street artists today, Banksy is still maintaining his anonymity. Due to the mysterious allure to his persona and the political dimension of his art, he remains in the spotlight constantly. The work Pulp Fiction originally appeared on the streets of London in 2007, but it was shortly removed by Transport for London due to the suggestive graphic nature. 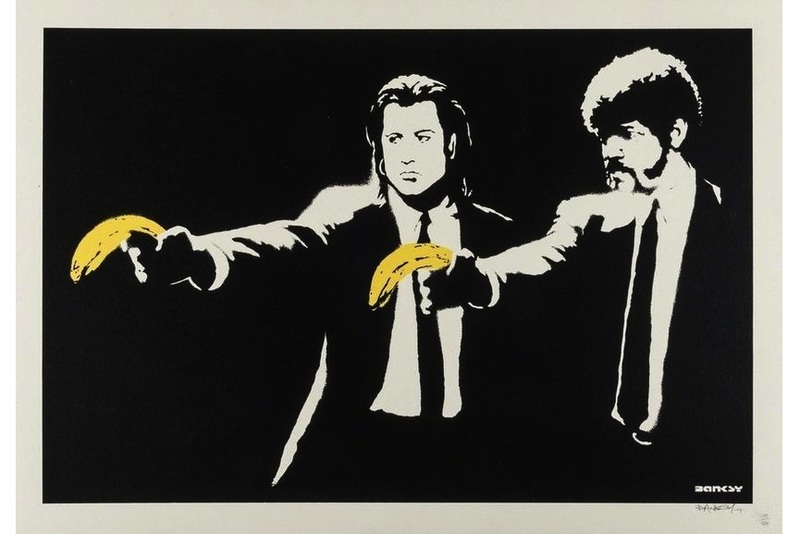 Replacing Quentin Tarantino’s characters’ guns with bananas, Banksy critiques the glamorization of violence. A Brazilian graffiti artist from São Paulo, Rafael Sliks plays with the graffiti language seeking to push its boundaries. His abstract works are inspired by the intense urbanization and modern city life in general. Playing with abstraction in his distinct visual language, Sliks paid homage to Frida Kahlo. Using spray paint, stencils, stickers and videos, the French contemporary artist Thirsy Bstrd describes the world around himself. Combining powerful symbols and popular images, he satirically comments on society, politics and consumerism. 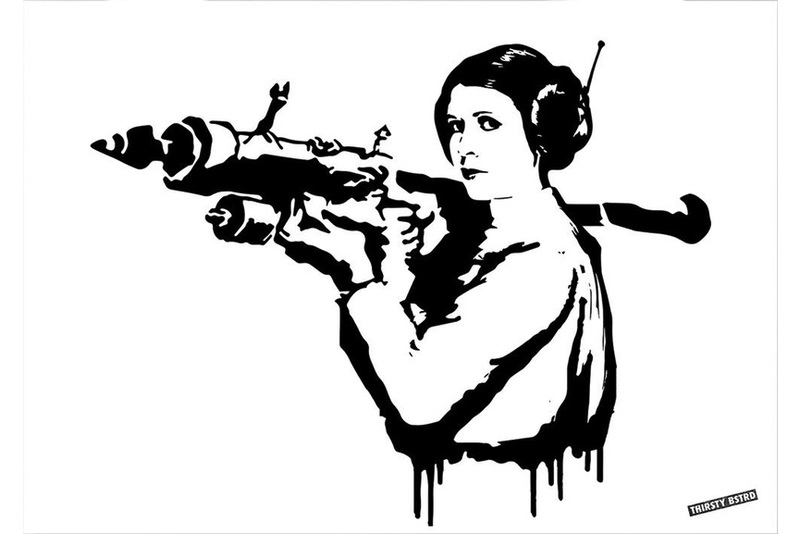 The work Princess Leia Bazooka Rocket depicts the iconic Princess in minimalist black and white style with a huge Bazooka poised over her shoulder as she gazes towards the viewer. Combining Star Wars imagery with Banksy-street style, the artist presents a work imbued with a touch of comic satire.